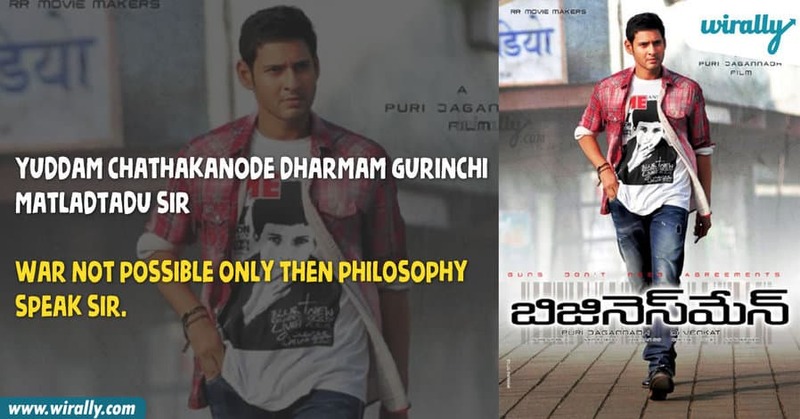 Mahesh Babu ante chaala..konni movies nad andulo dialogues gurthu osthay. We love his acting, charm and also his dialogue delivery in his movies. Ive dialogues ni English lo translate chesthe, it is hilarious. Here are some dialogues that surely are everyone’s favorite. 1. Evadu kodithe dimma thirigi mind block aypothado … aade pandugadu – pokiri Who hit, hear round and brain block, he only pandu fellow! 2. Idi Kurnool kadu ra, paathabasti – okkadu This not Kurnool, old lane!!! 3. 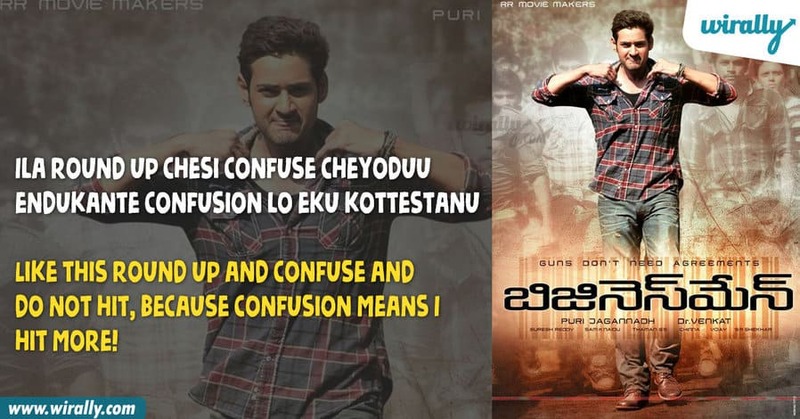 Ila round up chesi confuse cheyoduu endukante confusion lo eku kottestanu – businessman Like this round up and confuse and do not hit, because confusion means I hit more! 4. Yuddam chathakanode dharmam gurinchi matladtadu sir – businessman War not possible only then philosophy speak sir. 5. 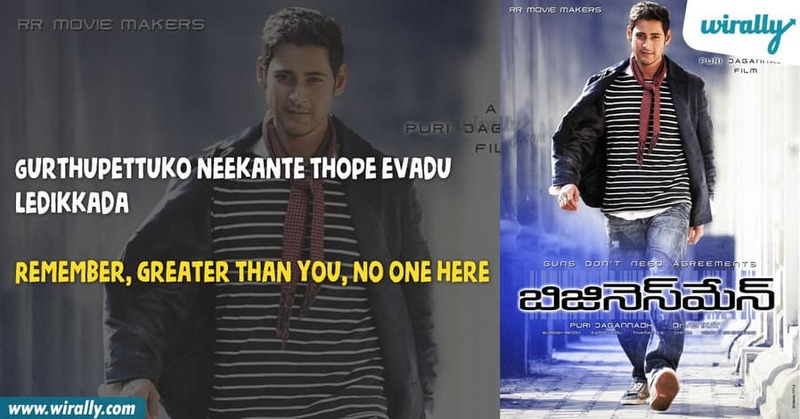 Gurthupettuko neekante thope evadu ledikkada – businessman Remember, greater than you, no one here. 6. Kanlu unnado mundumatrame chustadu, dimak unnodu duniya motham chustadu – dookudu Who have eyes see front, who have head see world round. 7. 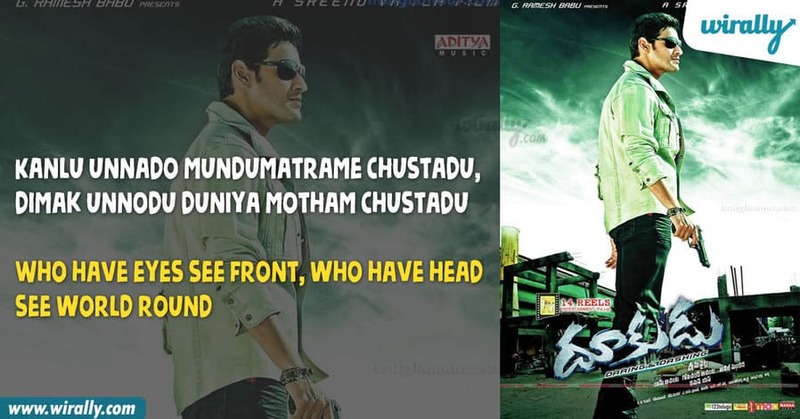 Mind lo fix ayithe blind ga vellipotha, vinaa – dookudu Inside mind fix, I go blind. No listen. 8. 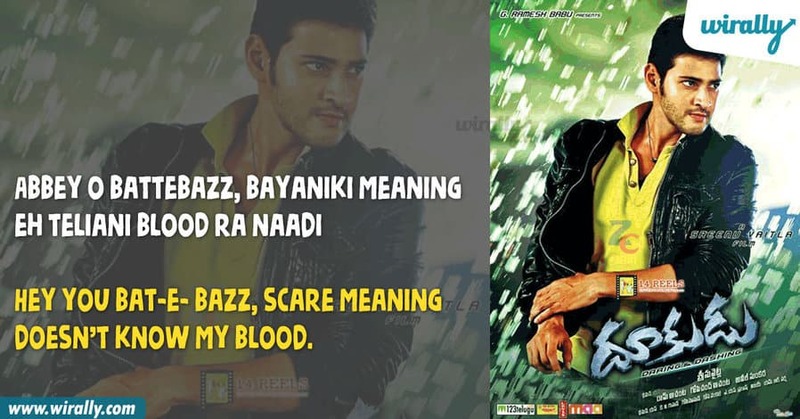 Abbey o battebazz, bayaniki meaning eh teliani blood ra naadi – dookudu Hey you bat-e-bazz, scare meaning doesn’t know my blood. 9. 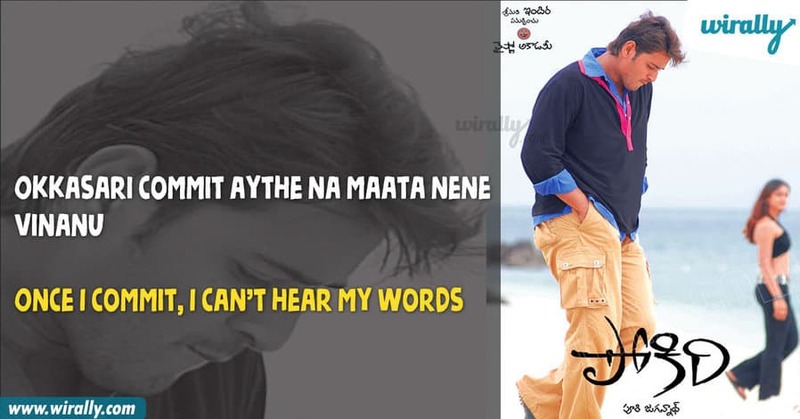 Okkasari commit aythe na maata nene vinanu – pokiri Once I commit, I can’t hear my words. 10. Dikki balshina kodi chicken shop mundukochi thoda kottindanta – aagadu Bootspace full chick come in front of chicken shop slapping thighs.